If you like to spend your weekends experimenting with food, you should try this homemade butter: is fun, easy and utterly delicious. Sometimes I feel that there’s nothing more comforting than a slice of bread and butter with a sprinkle of salt on top. You can find a good quality butter if you look around in supermarkets, and if you are lucky enough to have a good bakery near by, you can also find some lovely breads out there. But if you really want to spoil yourself and your loved-ones, think about homemade: you can easily do a fresh loaf at home and it doesn’t necessarily has to be sourdough if you don’t have the time or the skills, but making your own homemade butter is easy and fun and does not involve a lot of time nor particular skills. Of course, if you are in for a more sophisticated version, you could try a beautiful sage and pine nuts sourdough with homemade butter and pink Himalayan salt to make a difference. 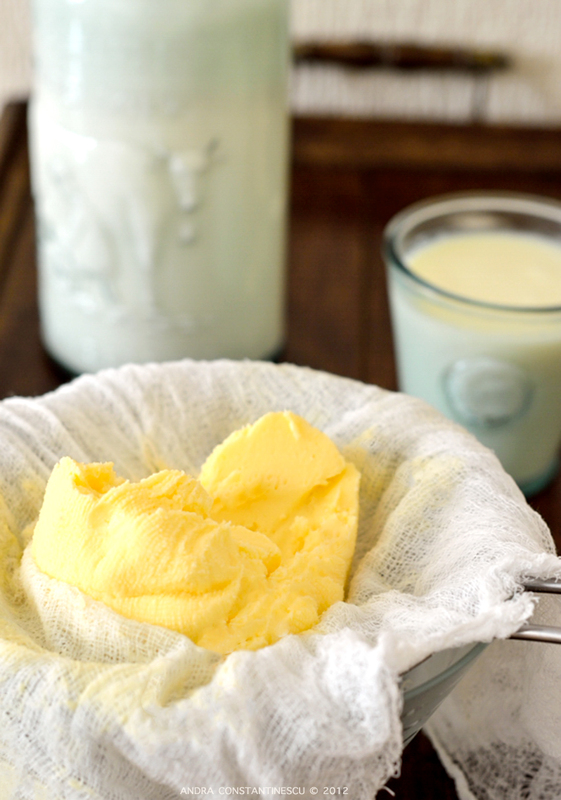 You will love your homemade butter! Even if only for the thought that you have made it yourself, although I can assure you that it will taste better than many of regular supermarket butter. Today’s recipe will not involve any jars (but you can still try the jar method if you fancy, I know for sure that it works), this time I will use an electric whisk, just to make things a little bit effortless 🙂 Making homemade butter is a great weekend project: it takes about 10-15 minutes, you can even involve your kids at the last bit of the operation, and the thought of eating something you have just made yourself is just priceless! Pour the double cream into a large bowl and start mixing. If you don't have an electric whisk, just use a regular hand whisk: it will take you about 5 minutes longer, but the result will be just the same. After about 4-5 minutes, the cream will start to thicken. 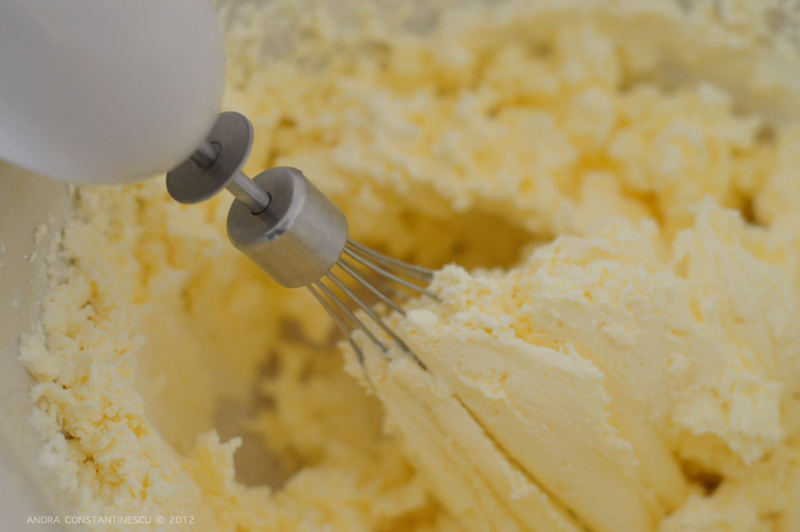 Continue mixing until the cream will get even thicker and the liquid starts to separate. When all the liquid is separated, stop whisking and get the curds with your hands, squeezing all the remained liquid away. Sieve the curds out over a big bowl, gently pressing with your fingers to squeeze all the liquid. Sprinkle some pink Himalayan salt on top and serve on toast. I’ve made it! Actually, I made it before I read your post. It was so good I started to write it and found yours! How good is this butter!! I used cream and lactobacillus culture and cultured for a week and then made butter. It reminds me of the butter I had as a child on my grandfather’s farm. The old supermarket butter is good but this is much better!